On top: "The Islamic Resistance in Syria." 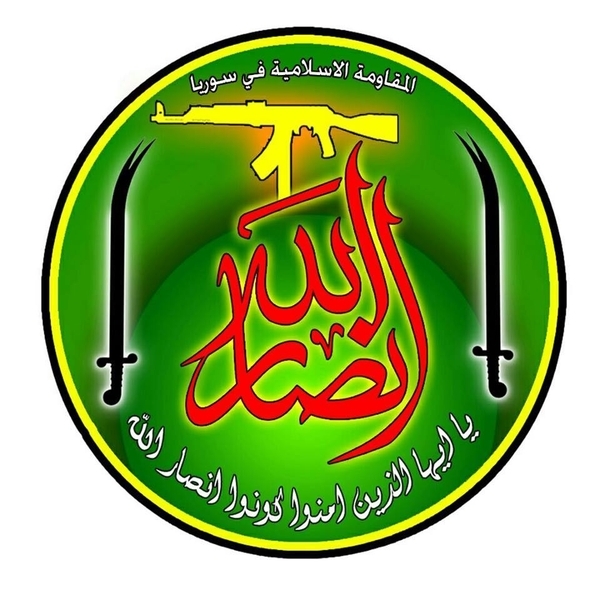 In center: "Ansar Allah", flanked by two images of Dhu al-Fiqar (the sword of Imam Ali). On bottom: "Oh you who believe, be supporters of God" (quotation from the Qur'an).